The community of Fairview is located by McKinney and Allen. It was incorporated in 1958. The Houston Texas Central Railroad and the Interurban tracks ran through the community. Neither set of tracks is in use at the present time. The Houston & Texas Central Railroad Historical District in Fairview, Texas was placed on the National Register of Historic Places in May of 2010. The main attractions include the stone arched railroad bridge over Sloan Creek circa 1890 and the Trolley Lake Dam circa 1930. Trolley Lake was a swimming pool for the general public and Club Lake was directly below the Trolley Lake Dam (built in 1915). A smaller arched dam made of bricks in located south of the main bridge about one mile. These are located on private property near to the old railroad underpass on Highway 5, north of the Fairview Town Hall. 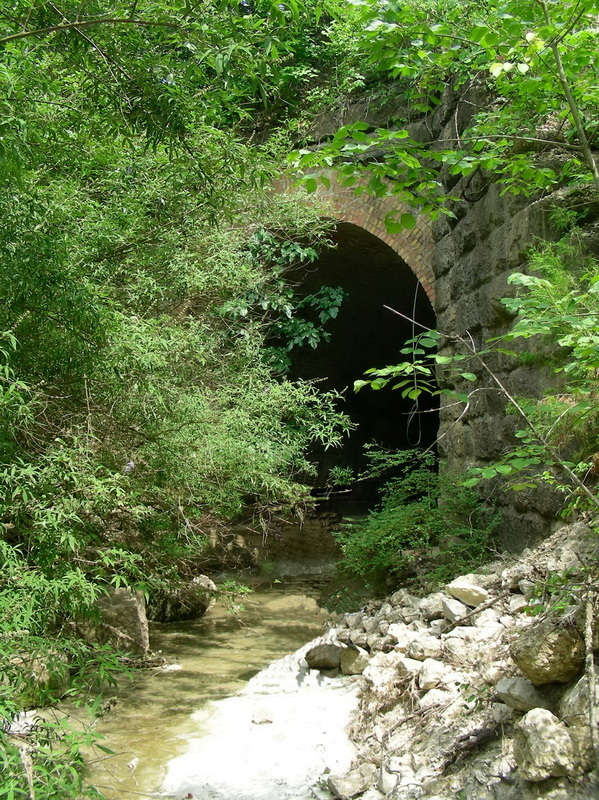 An original electric train "interurban" ran alongside the railroad tracks from 1908 until 1948 and the cement abutments are intact for the bridge that was over Sloan Creek. The Houston & Texas Central Railroad was the first railroad running through Texas beginning in 1872. This bridge however, was built in around 1890 made with large stone that are the same as the stone used for the Allen Station Dam. The original bridge in 1872 was probably made of wood and needed to be replaced by 1890 due to flooding. By 1927 the Texas and New Orleans Railroad had bought the H& TC Rail lines. The west wingwalls have had the stones replaced by cement due to erosion from floods in 1940 and again in 1960. The east wingwalls have the south one extant while the north one has collapsed and needs to be repaired.